There are two subpage templates: "Subpage Default" and "Subpage Fullwidth". Both of these templates support the page content, etc. but the "Subpage Default" template displays a right sidebar with sections. The page title and description (optional) will display above the page content. 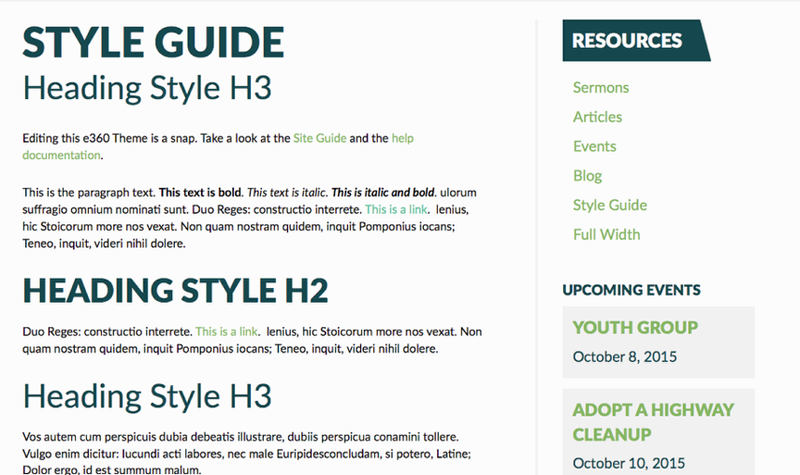 *NOTE - The "Style Guide" page have been setup to review your site default styles.